Photo of New Tris Barbie® Doll Available on Business Wire's Website and AP PhotoExpress | Mattel, Inc.
El Segundo, Calif. (March 6, 2015) - Timed to the upcoming release of The Divergent Series: Insurgent, the sequel to the 2014 blockbuster Divergent, Barbie® unveils images of the new Tris Barbie® doll available now on TheBarbieCollection.com and Amazon.com. 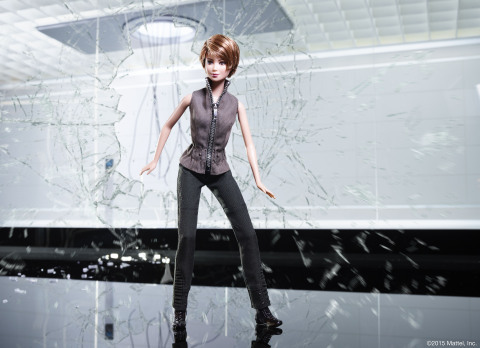 In this photo, the Tris Barbie® doll reenacts an iconic scene from the new movie in theaters nationwide March 20th. Barbie and associated trademarks and trade dress are owned by Mattel. ©2015 Mattel. TM & ® Summit Entertainment LLC. All Rights Reserved.